Let's learn how to create these discount scenarios. Make sure you check the box to count cumulatively. 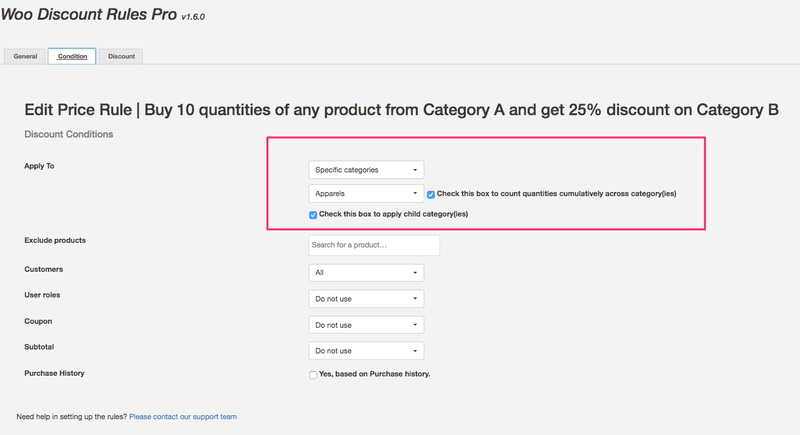 Otherwise, it would be mean each product from the category A should be bought in 10 quantities to apply the discount. NOTE: Example discount configuration is given based on different scenarios. Refer the screenshot similar to your scenario and adopt it. Scenario: Customer gets 25% discount for equivalent quantities. Scenario: Customer gets 25% discount on any number of quantities from Category B.